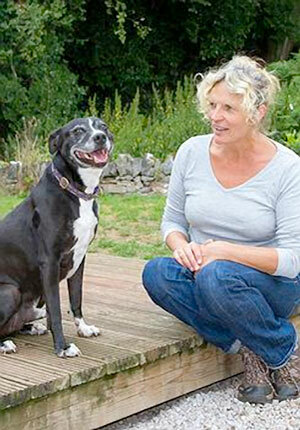 Devon Dog Behaviour Rehab & Rehome (DDBR&R) is a unique dog rescue service in Devon. We use our specialist behavioural skills to help dogs that need us. We can help dogs with behavioural issues. We also take in puppies that need homes. We take dogs of all breeds and ages from clients, vets, rescue centres and members of the public. We generally focus on dogs in Devon. However, occasionally we may have space for a desperate dog from further afield.We receive no Government funding so totally rely on the generosity and support of the public through donations and legacies. All the money received is used to fund the vital work we do. 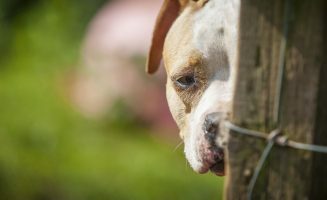 You can directly support DDBR&R and make a huge difference to dogs in need in your local area. Check out our Amazon Wishlist if you want help our dogs with essential items they need. Find out more or join us on Facebook for our latest news. 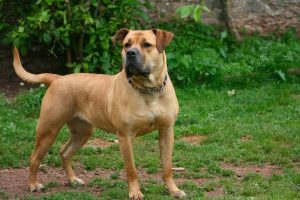 Cookie is a 3 year old mastiff cross breed, seeking an experienced large breeds home. Cookie isn’t one to go out & about but she is a wonderful, affectionate companion to an experienced large breed owner. 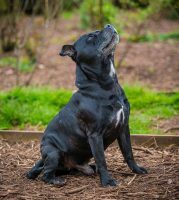 My name is Devon Dog Behaviour - Rescue & Rehome, but people call me DDDR&R. My Website Devon and work as an at .